Please click on the question below to expand for greater detail. Will I have to modify my house in order to use the Ardoo Caresafe 140 Compact Hoist indoors? No, there are no modifications required within the house and the Ardoo Caresafe 140 Compact Hoist will easily fit through standard doorways.As well as operate in small spaces such as a bathroom. The Ardoo Caresafe 140 Compact Hoist can also lift a person from the floor. This can be done when the person is in the supine position on the floor, using the Head and Shoulder sling. What is the weight of the Ardoo Caresafe 140 Compact Hoist? The Ardoo Caresafe 140 Compact Hoist weighs 23KG (50 pound). What is the maximum weight the Ardoo Caresafe 140 Compact Hoist140S Hoist can lift? The Ardoo Caresafe 140 Compact Hoist can lift maximum of 140kg, 308 lbs, 22 Stone. The Ardoo Caresafe 140 Compact Hoist looks very small, is it stable? The Ardoo Caresafe 140 Compact Hoist is extremely stable when used in the correct manner. It can be used both indoors and outdoors. How high can the Ardoo Caresafe 140 Compact Hoist lift? The maximum height of the boom is 165cm/65ins. What space does the Ardoo Caresafe 140 Compact Hoist take up? When I store the Ardoo Caresafe 140 Compact Hoist, do I need a lot of room? When the Ardoo Caresafe 140 Compact Hoist is stored vertically it can be kept on permanent charge, this ensures that the Ardoo Caresafe 140 Compact Hoist is always ready to use especially if it is used infrequently or only for emergencies. If is kept on permanent charge it will not consume excess electricity as it operates on the trickle system. Can the legs of the Ardoo Caresafe 140 Compact Hoist open? Yes they can by simply lifting the black leg plungers. The maximum width with the legs open is 96cms/38ins. How do I charge the Ardoo Caresafe 140 Compact Hoist? Charging couldn’t be easier. All you do is connect the charger lead to the socket on the Handset and plug the lead into the wall using the appropriate plug. Is the Ardoo Caresafe 140 Compact Hoist safe and easy to use? When the Ardoo Caresafe 140 Compact Hoist is used in the correct manner as described in the User Manual and operated by a competent person it is perfectly safe. The Ardoo Caresafe 140 Compact Hoist can be used by one competent person.The User Manual is supplied with the Ardoo Caresafe 140 Compact Hoist. To further enhance the safety of the Ardoo Caresafe 140 Compact Hoist a Spines function is incorporated that protects possible Patient entrapment or injury along with an Emergency Stop Button. Also, fitted is an Emergency lowering feature that allows the patient to be lowered manually without power. Is the Ardoo Caresafe 140 Compact Hoist fully tested?? Before the Ardoo Caresafe 140 Compact Hoist leaves our factory it is fully assembled and tested. It also complies with the LOLER regulations and carries an appropriate test certificate. The battery is also charged thus it can be used immediately by the customer on receipt. If I travel abroad, can I use the Ardoo Caresafe 140 Compact Hoist? How do I order the Ardoo Caresafe 140 Compact Hoist? Credit card payment facilitated by secure third party. What is the Guarantee & Warranty on the Ardoo Caresafe 140 Compact Hoist? The Ardoo Caresafe 140 Compact Hoist is fully guaranteed for one year for the battery and for 2 years on all other parts. The Guarantee is for the complete replacement of a faulty part including courier costs. The Guarantee is on an Advanced Replacement Basis. This means that when we have spoken to the customer and ascertained the exact problem we will immediately courier to the customer by UPS at our cost the appropriate replacement part packed in our specialist packaging. The customer will then replace the faulty part and pack it into the same packaging and we will collect it by UPS at our cost.A comprehensive stock of spare parts is kept and available for quick dispatch. How is the Ardoo Caresafe 140 Compact Hoist delivered? 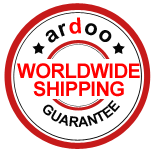 The Ardoo Caresafe 140 Compact Hoist is delivered worldwide by our express courier. Packed securely in our specialist packaging. When the Ardoo Caresafe 140 Hoist has left our factory you will receive an email with the tracking number so that you can track the exact date of delivery online. What are the Ardoo Caresafe Terms and Conditions of sale? Click here for the Ardoo Caresafe Limited Terms and Conditions of sale. What makes of car are suitable for the Ardoo Caresafe 140 Compact Hoist?? The Ardoo Caresafe 140 Compact Hoist is suitable for a large range of cars. Please let us know what model you have or are intending to purchase and we will advise you accordingly. Can I travel overseas with the Ardoo Caresafe 140 Compact Hoist? Yes, you can travel overseas with the Ardoo Caresafe 140 Compact Hoist. It can be checked in at an Airport check in desk and be placed in the hold of an Aircraft. On arrival it can safely travel on the luggage carousel. Is the Ardoo Caresafe 140 Compact Hoist compliant with safety regulations?? 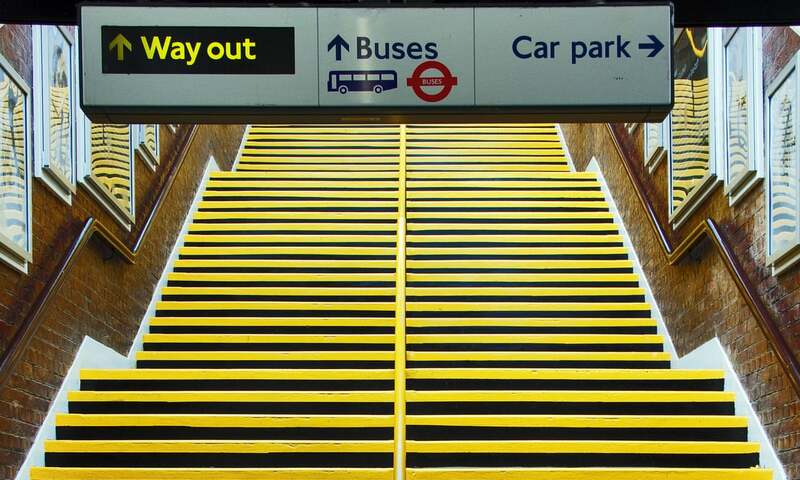 If you have any questions that are not answered here, please contact us as we would be more than happy to help.